We are four creative women who have just returned from India in September where we created our very own 'heart project'. 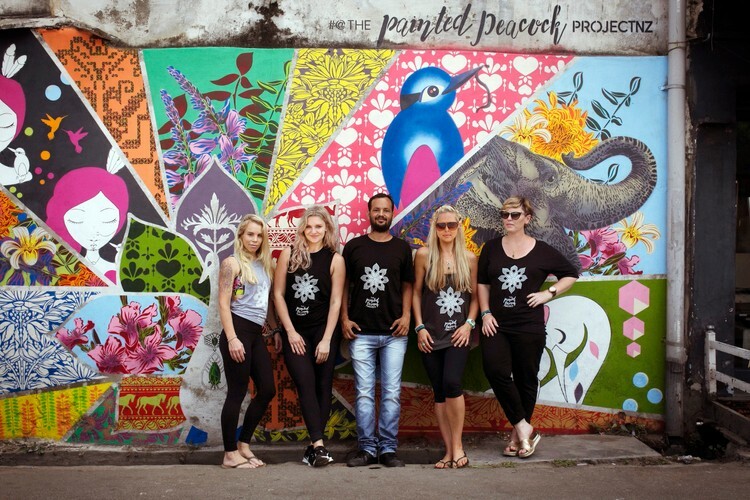 We are made up of Hayley Kind (aka stencil and street artist Flox), Cathy Pope (jewellery designer), Ema Frost (artist) and Sacha Stejko (photographer) and we've spent the last 9 months planning a self - funded adventure to find some 'soul food' for our work. 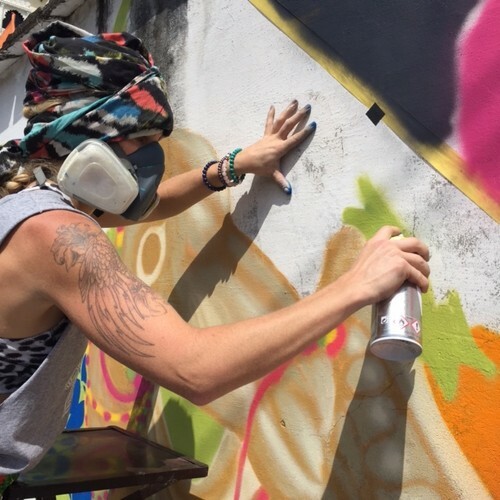 Our mission was as friends to travel to India and experience another culture, share our skills with children in need and then create some epic street art. The ultimate goal was to find inspiration for each of our practices and share knowledge with each other. 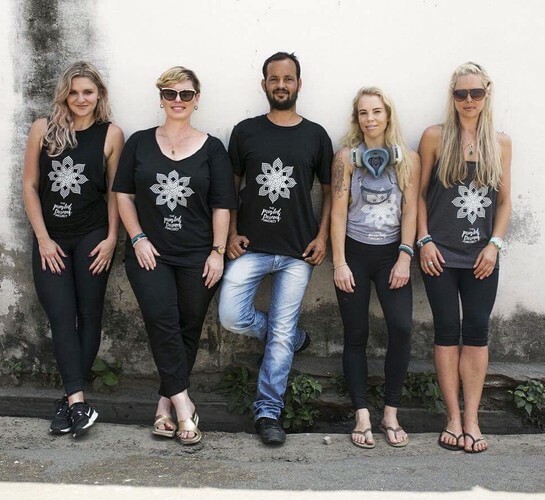 We would then return to NZ and create the new work and hold an exhibition to sell our work and donate a portion of sales back to kids in need in both NZ and India. 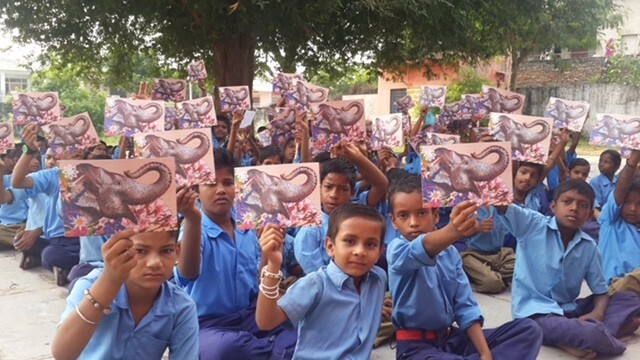 We received incredible feedback from the local Indian Community in Udaipur for the generosity of our time, skills and artwork. 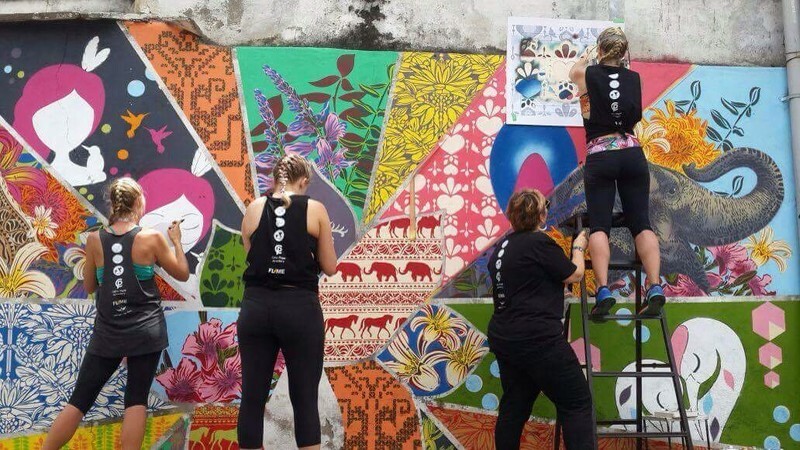 They'd never seen contemporary street art in Udaipur before, especially featuring Indian flora, fauna and animals. We made the tv news and multiple newspapers and blogs. India enchanted us like we never expected and we have some ground breaking new work which will feature stencil art from Flox, ceramics and illustration by Ema Frost, watercolour on photographs by Indian artist Rajesh Soni, photography by Sacha Stejko and jewellery by Cathy Pope. Please visit us either on our opening night or during the week and meet the artists to see and hear about our experiences. 20% of proceeds will be donated to Kidscan NZ and to buying art supplies for the children at Badi Primary Schoo in India.